Looking gorgeous in this total blue outfit! :) Happy Easter! Absolutely love this ensemble, especially the skirt! Such a lovely look! The shades of blue look amazing on you! Absolutely stunning outfit. 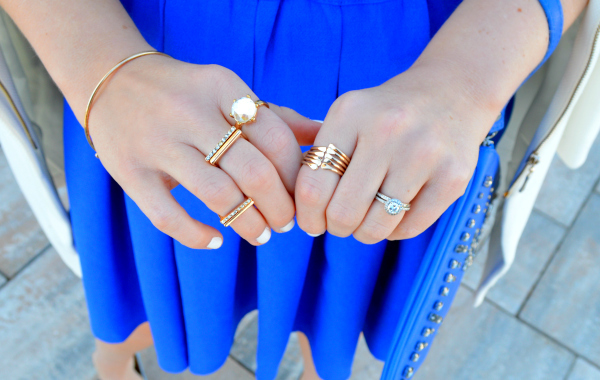 Love the bright blue details. Everything goes so great together. Adore this little blue skirt! Your skirt is amazing! I love it. Blue is my absolute favorite color! I love the various shades you've used here. So lovely! Stunning look! Such a lovely skirt! Soooooo bright! This color is so great! You look fabulous! I really love the bright colors! Amazing look! I especially love the skirt! This skirt is beautiful, I love the color! Bright blue color looking awesome . Great thanks for shared .